St. Martin’s Griffin. 448 pages. Trade paperback $15.99. This exciting, information-packed novel is almost bursting at the seams of its ambition. In it, author Ronald H. Balson orchestrates several intersecting storylines that cover a broad geographical, generational, and geopolitical span. The two main narratives follow an $88 million embezzlement case in Chicago and a sophisticated terrorist plot masterminded out of Hebron. When the payoff from a colossal business deal engineered in part by accountant (and single father) Jack Sommers goes awry, the money not deposited in the authorized account, Jack is among those under suspicion. So he takes on a false identity and hides out in Hawaii. The complicated legal case triggered by the embezzlement requires the skills of key characters from Once We Were Brothers, Balson’s first novel. They are attorney Catherine Lockhart, once fired from the firm that now needs her, and private eye Liam Taggart. These two have a long-simmering romance that percolates throughout. They are also tied to the terrorist plot headed by Jack’s Muslim father-in-law, Dr. Arif al-Zahani, from his home in Palestinian Hebron. The doctor is a leader of the Sons of Canaan, a sinister group preparing a devastating action designed to kill thousands. Liam is recruited to work with a beautiful counterterrorism agent, Kayla Cummings, who is at first identified as attached to the U.S. Department of State. The mission is to rescue Jack’s daughter, Sophie — who has been kidnapped by her grandfather, al-Zahani — and to foil the looming attack. . . . 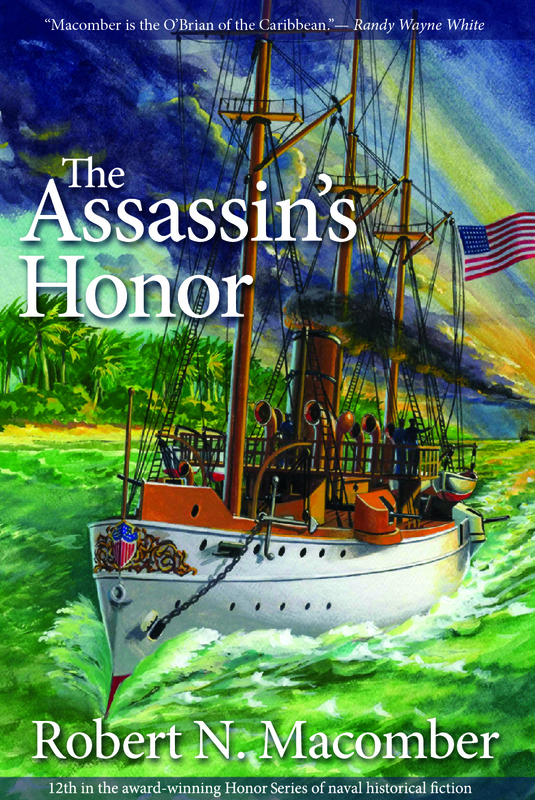 The Assassin’s Honor, by Robert N. Macomber. Pineapple Press. 392 pages. Hardcover $26.95. One of the great feelings that comes over me when I settle into a new Honor Series novel by Mr. Macomber is the sense that I’m in such capable and caring hands. It’s like having an insurance policy against disappointments. And there are none in the twelfth installment of this unique and durable series. The action is set in December of 1892. Commander Peter Wake, after 29 years in the navy that includes 10 years in the Office of Naval Intelligence with assignments worldwide, is finally in charge of his own ship – a new cruiser, “Bennington,” of the latest design. As one might expect, he is regularly in the company of his career-long aide, Boatswain Sean Rork, an estimable ruffian from Ireland. Theirs is a very special relationship, a deep friendship that goes far beyond the conventions of officer and subordinate. If this new post sounds like settling down, it isn’t quite that. However, there is a romance brewing. If it develops as both parties hope, Wake could once again be a married man. The quick-start relationship with a beautiful Spanish woman of breeding and intelligence is a major attraction for the readers and for Peter Wake, especially since she takes a liberal stance toward Cuba’s future that allies her with her admirer. Finding the time to spend with her is as great a problem as meeting the challenges of his duties. The action moves between Key West and Tampa, with interludes along the Caribbean coast of Mexico, in Jamaica, and – in part through flashbacks that sketch his first encounter with Maria Ana Maura y Abad – in Washington D.C. The main action is generated by a scheme to distract and mislead Wake. Fooled by clues that have been planted to mislead him, Wake convinces his superior, Admiral Walker, to send him to and beyond Cozumel to thwart an attempt by someone aboard the German “Gneisenau” to assassinate a Mayan rebel. The Germans, wishing to establish a naval station to protect their Mexican and other interests, can’t risk a government overthrow or instability. It turns out that Wake had succumbed to manipulated evidence designed to keep him occupied while an assassin was sent to Tampa (actually Yvor City) to do away with Wake’s good friend, the famed author and Cuban patriot José Martí. Wake’s old enemies from previous adventures, Germany and Spain, are working against him. The conflicts are both national and personal. . . . Isolation, by Mary Anna Evans. Poisoned Pen Press. 288 pages. Hardcover $26.95 (other formats available). This is not just another murder mystery. As a psychological portrait of a women who has been plunged into despair, it is deeply moving. As an exploration of how the past informs and shapes the present, it is thought-provoking. As an examination of family dynamics, it is astute and engaging. It is a perfectly titled book, in which isolation is both an outer and an inner reality. 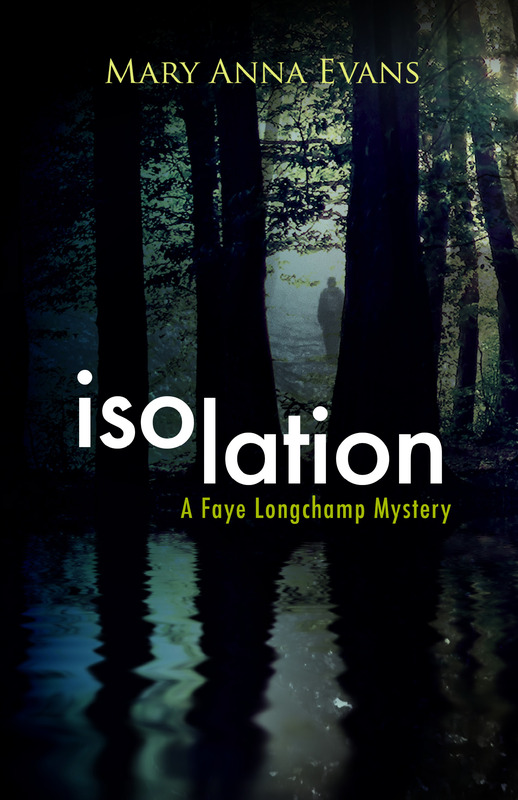 However, it is very much a murder mystery, just like the others in the Faye Longchamp Mystery series that has garnered much applause. This is number nine. Faye Longchamp-Mantooth, archaeologist extraordinaire, has miscarried. Her teenage adopted daughter, Amande, is not going to meet a baby sister upon returning home from college. Faye has withdrawn into herself so severely that her husband Joe wonders if she can pull herself out. The trauma of this loss has altered Faye’s behavior. She seems not to notice what goes on around her. She cannot relate normally to her husband and her very young son Michael. She is in isolation, and her withdrawal creates isolation for those around her. Ms. Evans’ achievement in this novel includes allowing readers to share Faye’s unbalanced emotional state and to follow the steps by which it is eventually restored to health. 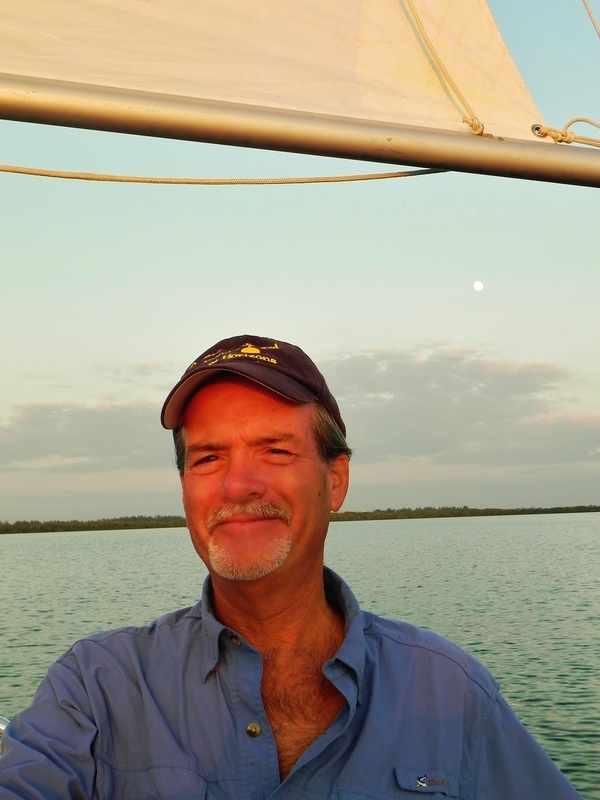 The fact that a woman is killed at the mainland marina near Faye’s Joyeuse, an estate and coastal island in the Gulf of Mexico, would not seem to enhance her chance for recovery. Especially since that woman is Liz Colton, the marina’s owner, and also a friend. That other women are injured or threatened makes matters worse. Moral pollution and environmental contamination hold sway. Tommy Barnett, the man who services boats at the marina has been illegally dumping waste materials. Faye’s property has unusually high levels of arsenic. And Faye, digging around as archaeologists must, has accidentally triggered a leak in a large metal kerosene container. What’s going on? Who is causing what – and why? The Longchamp-Mantooth family has been suddenly expanded by the arrival of Joe’s father, Sly, with whom Joe has had little contact for many years. Sly’s skills, background, and the guilt that he harbors make for an especially interesting character throughout the novel. Because he has served time in prison, he is a ready suspect for the bad things that are happening on Joyeuse Island. Others have shown up in the area for unusual reasons. A man named Oscar Croft had come to visit the Museum of American Slavery, which had been a hobby of Emma Everett’s late husband, Douglass. Now Emma, one of Faye’s best friends, runs the place. Oscar, interested in a certain corner of American history related to his own heritage, has been led to this place by his companion and history guide Delia Scarsdale. He is excited about meeting Faye, whose expertise may help uncover the answers to his questions. He is trying to discover the fate of his great great grandfather, Elias Croft, who was supposedly held against his will and possibly murdered by a woman named Cally Stanton. . . . This smart, engaging, and extremely feel-good book tells one of the stories that best illustrates how Israel consistently turns crises into opportunities and challenges into victories. Long before statehood, the nascent country’s leaders and planners had realized that population and economic growth required an efficient and secure infrastructure, and that a dependable, affordable water supply was at the heart of it all, necessitating both scientific and managerial innovation. Even as Israel grew to be more and more exemplary of booming private capitalism, government monopoly would be the best way to manage water. And so it has proven to be. 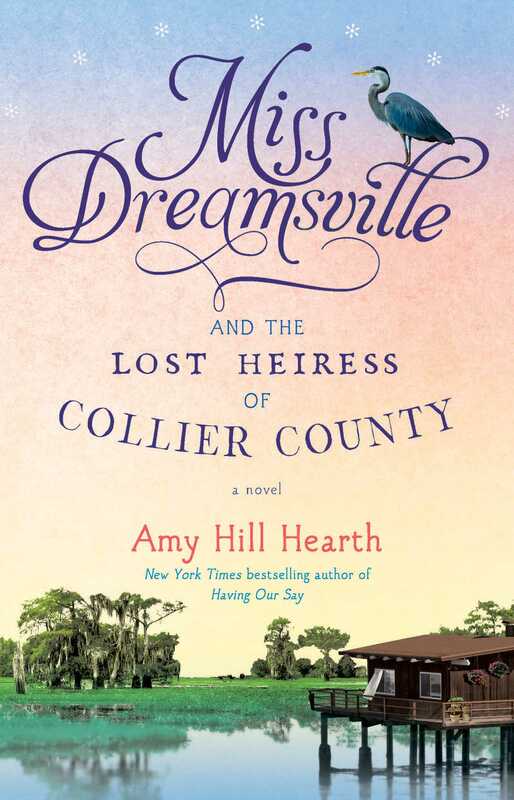 Miss Dreamsville and the Lost Heiress of Collier County, by Amy Hill Hearth. Atria Books. 320 pages. Trade paperback $16.00. This sequel to “Miss Dreamsville and the Collier County Women’s Literary Society” (2012) should satisfy those who filled the many book club appearances through which the earlier title was effectively marketed. It inches forward a year or so into the mid-1960s and collects most of the same oddball characters whose engaging interactions in the literary society made for enjoyable social comedy. Naples is still portrayed as a sleepy little Southwest Florida town, but this time out its attractions are understood as a lure to investors and a threat to those who like its quiet pace and its special brand of natural beauty. Narrator Dora Witherspoon, who had left Naples on a search to find her roots in Jackson, Mississippi, finds herself brought home to help counter the effort of her ex-husband, Darryl Norwood. With out-of- state backing (in itself a cultural betrayal), Norwood is planning to build a large development along a tidal river. The name he chooses for it, “Dreamsville,” is another betrayal, as it steals the name invented by a prominent Naples character for her popular radio show. That woman certainly doesn’t want to appear connected with such a project. The name “Miss Dreamsville” is the invention of Jackie Hart, a brash New England transplant who during her few years in Naples has invigorated the womenfolk, battering down the door of their traditional deference, if not subservience, to men. She breathes the fresh air of the civil rights and women’s rights movements into a remote pocket of Southern resistance. She makes a handful of close friends, but quite a few enemies as well. Jackie is change. From our perch in time, we know that for decades people like Darryl have won, yet to see the battle brewing in 1964 is quite exciting. Once the ladies begin their campaign to block Dreamsville, they discover that one of them might be the actual property owner of the land that Darryl is planning to develop. Proving the matter depends on the skills and industry of their fledgling lawyer, who seems to be outgunned by the team that Darryl’s backers can afford to hire. The pros and cons of development are one thing; the question of ownership is quite another. The effort re-energizes the Collier County Women’s Literary Society, which had been rather dormant for a while. What these individualists have in common, ironically, is their sense of community and the need to belong. . . .
About seven years ago, Naples resident Alleman decided to fulfill a life-long dream. Since the age of fourteen, ever since reading Poe’s stories, she though it would be wonderful to work anywhere and create fanciful scenarios and characters. In high school young Arleen discovered journalism, which almost became her career path. In college, she followed her love for science and pursued a biology degree. Then came twenty plus years as an analyst for the Government Accountability Office where she wrote on a myriad of subjects, all in the form of GAO Blue Books to the Congress. The work was akin to investigative journalism, and it taught her a great deal about research and project planning. After retiring from the GAO, she explored silver jewelry manufacture and running her own boutique. She and her husband began cruising about ten years ago, and it was during a cruise around Cape Horn that she finally decided to try writing fiction. She needed a special niche within the murder mystery genre to distinguish her work for readers and booksellers. Alleman liked the idea of setting the stories in different world locations drawing upon her first-hand knowledge of cruise ships and seaports.She began her shipboard adventure series in 2009, working on Currents Deep and Deadly. It took a year and a half to complete the book and get it published. 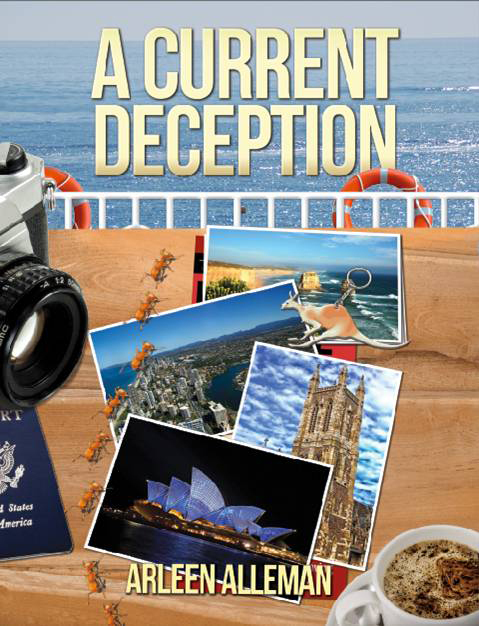 For her most recent title, A Current Deception, Alleman drew upon five weeks spent in Australia about eight years ago, updating her memories with research. The fictional cruise motif carried on the theme from previous books in the series, which were set in South America, Mexico, and the Caribbean. This adventurous author prepares for her eventual novels by taking notes and photographs during trips, as well as by doing much additional research. Her notes and sources help her develop a story flow, which she makes graphic by creating a large white-board diagram connecting various characters with subplots. This practice gives her a feel for the whole story and keeps the various parts straight in her mind. Alleman then transfers the main elements to a document, forming an outline. The outline is essentially a list of chapter headings, which build the story from different characters’ perspectives until she has a first draft. This author finds that getting started with a new story is the hardest part of writing. She doesn’t like to start things over. That’s why she works so hard on the preliminaries, down to devising a possible conclusion, before she begins writing. The details change along the way, but the main premise carries through to the final product. Like many authors, she does not enjoy the necessary marketing and advertising required to sell books today. She finds this the hardest part of the total process. What does she enjoy? Alleman likes bringing characters to life: literally giving them bodies, purpose, relationships, hopes, and problems, so that they seem real to her. She gives a lot of thought to how freelance journalist Darcy Farthing, her main character in the series, will grow and change even if she has to leave some relationships behind. Ms. Alleman likes writing stories that have some educational value, maybe even providing readers food for thought about social issues. Of course, entertainment is her main goal. Darcy is a vehicle to express some edgy and controversial themes, which is another way to set these murder-mysteries apart from the thousands published each year. Alleman is an avid reader and lover of mysteries. There are hundreds of authors who probably influenced her over the past five decades. Every writer, if you are a predatory reader, teaches something about the craft. 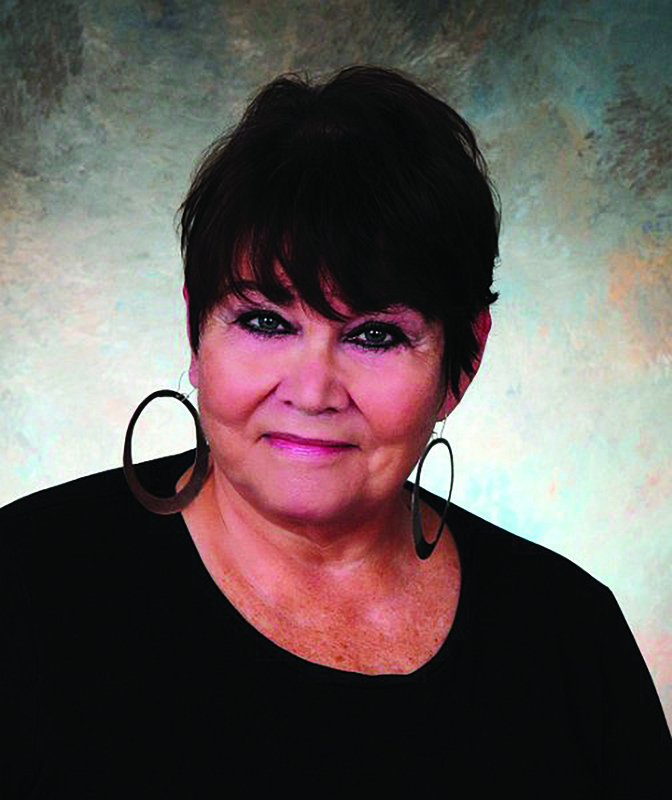 One author Alleman particularly admires is Diana Gabaldon. Gabaldon’s Outlander series greatly influenced her, although they are not mysteries per se. They are great adventures. 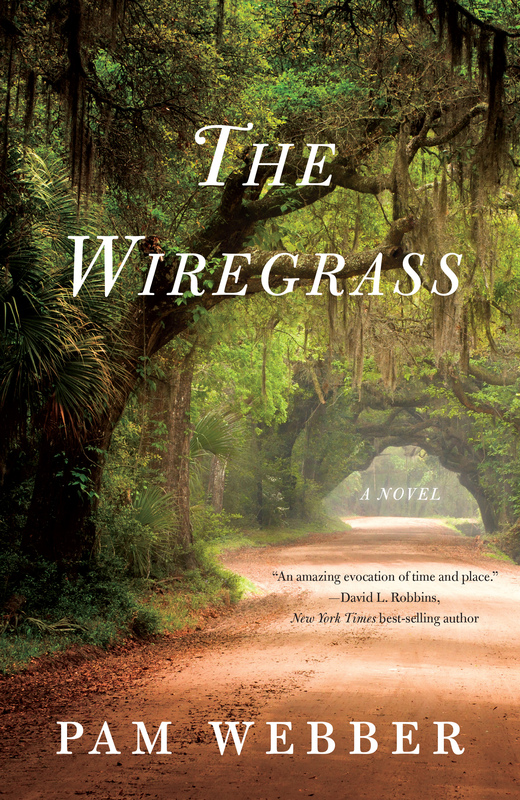 Alleman admires the way Gabaldon weaves real historical events and geography through the stories and develops totally compelling characters, some with controversial lives. The novelist and her husband moved here from Colorado in November 2013. They wanted a change from the mountains, and they knew that living in Florida would be handier for taking cruises. They loved Marco Island after vacationing there several years in the 1980s and often talked about living there. As it turned out, they have a home very close to the island in unincorporated Collier County. 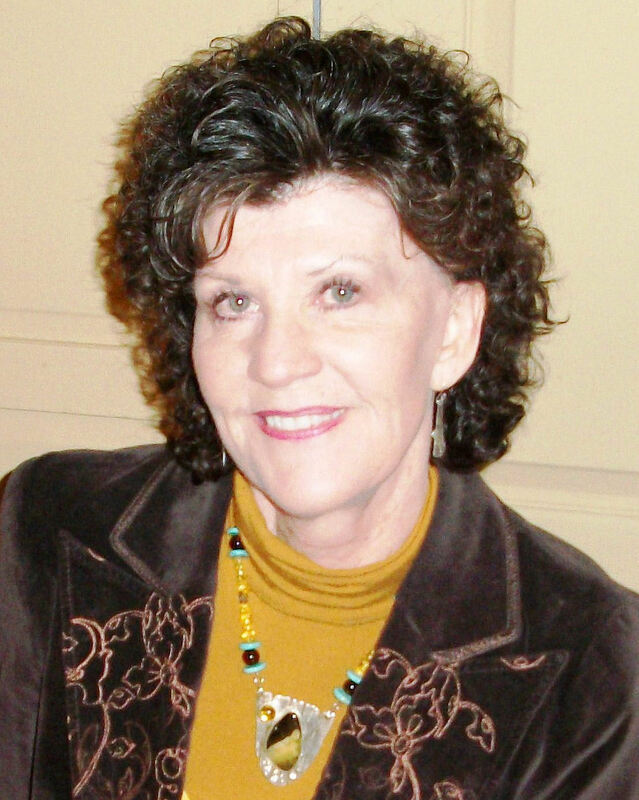 Alleman believes that her non-fiction writing on diverse topics like endangered species, elder care, satellite systems, atomic clocks, plant biotechnology, postal operations, and government operations to name a few, helped prepare her for life as a novelist. Also, learning how to do the research, interviews, and analyses required to thoroughly learn a completely new subject every six months or so helped tremendously. 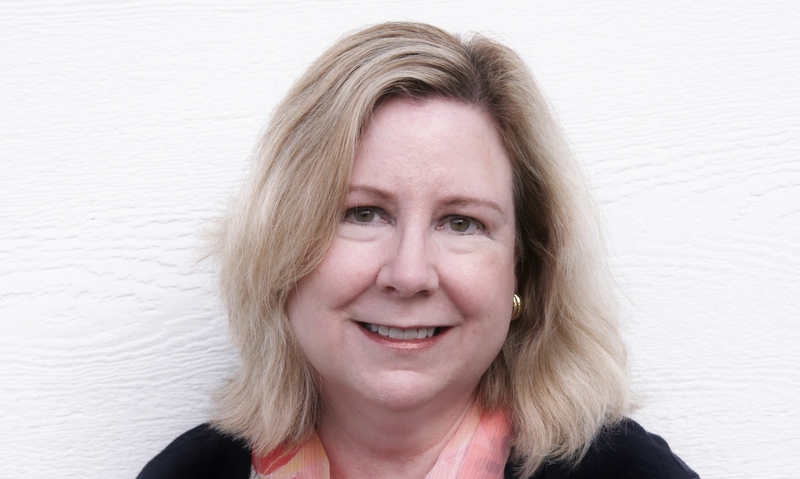 She wants each book to include technical, biological, social, or scientific elements, and that characteristic of the writing is directly related to her science education and GAO career. She is now working on a sixth Darcy Farthing novel, which takes place in Las Vegas and does not involve a cruise. It tackles the horrendous problem of teens living on the street and becoming prey for human traffickers for prostitution. There will be a seventh book set here in SW Florida, where Darcy investigates crimes involving missing Florida panthers. After that, the series may or may not come to an end. However, she has a plan for a book that is not part of a series. It is a futuristic novel set in the western U.S. at a time when groundwater resources are completely depleted, and the disastrous impact on people, animals, and society that inevitably follows. 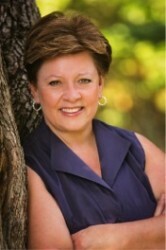 Keep up with Arleen Alleman by visiting http://www.arleenalleman.com. For a review of A Current Deception, click here: Florida Weekly – Alleman . Hair of the Dog, by Susan Slater. Poisoned Pen Press. 238 pages. Trade paperback $14.95. Other editions available. I don’t remember reading – or even reading about – a novel centered on the greyhound racing business. Now Susan Slater has come up with a dazzler set in Daytona. 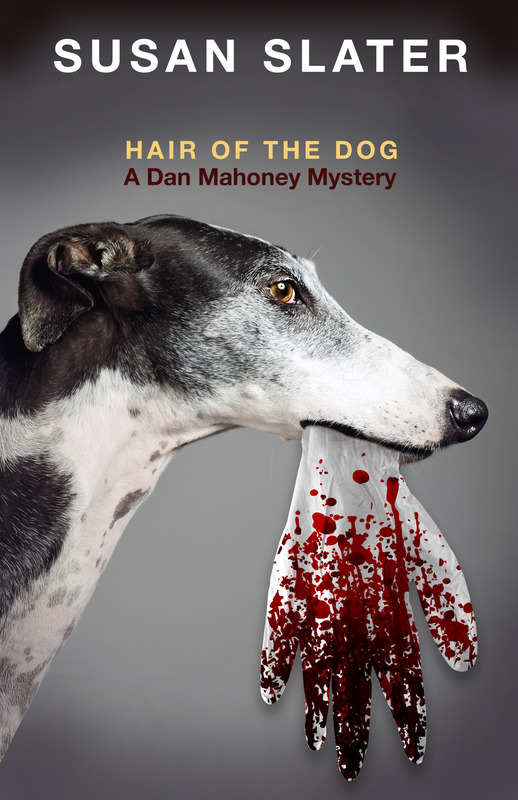 The third “Dan Mahoney Mystery,” it of course follows Dan and his fiancé Elaine Linden through the investigation of claims against Dan’s employer, United Life and Casualty. Five premier, well-insured greyhounds insured by this company have died in a fire at the dog track, or so it seems. Conveniently, the case provides the impetus for the couple to consider moving permanently to Florida; after all, why should these characters live far away from their creator? Distraught Dixie Halifax, co-owner of the slowly failing track and casino, has the dog’s ashes in five urns lined up on her desk. The initial investigation has led to the arrest of Fucher Crumm, and man with some developmental challenges who works at the track. Fucher is charged with arson committed to cover up the murder of Jackson Sanchez, the principal kennel owner at the Daytona Beach Kennel Club and Poker Room. Those who know Fucher can’t believe he could possibly be guilty of such deeds. He’s a gentle soul without guile. Has there been a rush to judgment? Another curious fact is that the pool of blood under Jackson’s corpse is not his own. Furthermore, in the course of the investigation two other people connected with the dog track turn up dead. Dan has his hands full with all that’s happening at the track, even though his main interest is whether or not the insurance company should pay off on the policies covering the dogs’ lives. When the cremains turn out to have only human DNA, the question becomes: what happened to the dogs? Dear reader, that is not for me to answer. Dan also has his hands full because of his mother’s infatuation with a man who may not be whom he appears to be. In fact, even Dan’s mother Maggie is suspicious of the Lothario who has been wooing her. Maggie turns to Elaine in an attempt to find out if Stanley is on the up and up. Elaine is studying to get a private investigator license in order to team up with her future husband. Her teacher, ex-FBI agent Scott, allows her to make the investigation of Stanley part of her curriculum. The two story threads get tied together over the discovery that the track and casino operation has been corrupted by a money laundering operation. Guess who is part of it? . . .